The English language is always evolving, and over time we sometimes collectively change the meaning of a word. Whether this change is the result of a common usage error or has been deemed acceptable by official dictionary writers, it's often surprising to learn the real — or at least the original — meaning of some words. So are you sure you're using that word correctly? Here are 10 words that might not mean what you think they mean. 1. Bemused If you think this word means the same thing as a word it rhymes with, you're absolutely right. Unfortunately, most people choose the wrong rhyme. "Bemused" doesn't mean "amused, " though it's often used that way by mistake. It actually means "confused." If you have a bemused expression on your face right now, it's because this new information is blowing your mind — not because you think it's hilarious. 2. Decimate You're probably not totally wrong about what "decimate" means, but the error with this word is a matter of degrees. It does mean to destroy or eliminate something — but not completely. As the prefix "deci-" suggests, it actually means to reduce something by only one tenth. So if your retirement portfolio was decimated by the Great Recession, you actually got off easy, by only losing 10 percent of your money. 3. Disinterested Ever heard someone say, "I'm not going to watch the Super Bowl. I'm totally disinterested"? They probably mean they don't like football, but what they're actually saying is totally different. "Uninterested" is the word that means you find something boring. "Disinterested, " however, means you don't have any stake in the outcome because you're not invested in something. Now if your friend meant they weren't betting on the Super Bowl, "disinterested" would be correct. Unfortunately, most people aren't aware of the distinction. 4. Electrocute Ever accidentally stick your finger in an electrical outlet and get electrocuted? If that were true, you'd be dead and buried. "Electrocute" means to kill someone with an electric shock (think "execute" to help you remember). If you get a nasty shock from a malfunctioning appliance, you may be a little shocked, but you haven't been electrocuted. 5. Factoid "Factoid" is a relatively new word in English. It was coined by author Norman Mailer in 1973, and he meant it to refer to tidbits of information that everyone thinks are true, but actually aren't. According to this original use, "factoids" aren't facts at all, but rather fake news that people believe just because they've seen it written somewhere — tabloids in the '70s, Twitter today. The irony is that today people use factoid to mean a fun trivia fact — pretty much the opposite of what Mailer intended. 6. Ironic Isn't it ironic that people use this word incorrectly all the time? Nope. It's just funny. A lot of people — looking at you, Alanis Morrisette — use "ironic" to mean an interesting coincidence or just something that strikes you as sort of silly. It really means something totally unexpected — a twist you didn’t see coming. It can also refer to saying something unexpected, like a sarcastic "good job" when a waitress drops a tray of glasses. That's probably where the confusion began, since most people find sarcasm kind of funny. 7. Lied If you think "lied" has two meanings, you're in for a surprise. This is the past tense of only one word, not two, so you could be using it correctly only half the time. If you lied to your mother yesterday, you're not a good person, but you used the word correctly. "Lied" means to have told an untruth in the past. It is not the past tense of "to lie down" — that would be "lay." Lots of people get these conjugations confused, but you should say "I lay down after work yesterday because I was so tired." 8. Literally It may be tempting to blame this one on Rob Lowe's performance on Parks and Rec, but the reality is that his Chris Traeger character was poking fun at the many people who are confused by the word "literally." "Literally" means something that's real, true or exact. Most people use this word to mean the opposite, though, saying things like "My head literally exploded." If that were true, you'd have a real mess on your hands! This type of usage has become so common that dictionary bigwigs have added the figurative use of "literally" as a correct usage. Go figure. 9. Luxuriant "Luxuriant" sounds like "luxurious, " but it's not quite the same. "Luxuriant" means “abundant, " and not necessarily something expensive. You can have a luxuriant lawn that's lush with green grass, but it probably won't feel luxurious if you're the one in charge of all the mowing, fertilizing and weeding. 10. Penultimate The word "penultimate" means second to last, usually on a list of items. That's because "ultimate" means the last item, not necessarily the best one. Over time, however, people started to use "ultimate" to mean the best or most exciting thing around. While that shift became so common that it's now accepted, it also means that people began to use "penultimate" to mean extra-awesome — which isn't correct at all. The prefix "pen-" means "almost, " so using "penultimate" to mean "really great" doesn't even make sense. Alas, the road to changing definitions never did run smooth. Words of Wisdom So, did any of these definitions "literally" blow your mind? Since English is the language that probably has more words than any other, there's a lot to keep track of — so you're excused if you get three or four or even 10 of those words mixed up once in a while. Now that you know the difference, you can make sure that your speech and writing are truly top-notch. Importance of English in the Business World Success in business is often hinged on one single important word – communication; and most of it happens in English. The world is flat; the economic migrations of the past decades have become permanent expat communities. Asians, especially, continue to migrate to the United States or to Europe for jobs and live there permanently. Even for those involved in business from their native countries, if they want to sell to a larger market, need to understand the trends and the cultures of those markets. This is often best done through the common currency that is English. Love it or hate it, we simply can’t ignore it. Big businesses call the shots, so if in Germany you do as the Germans do, in the common world market, learn English. In order to get ahead in your chosen field you need to make yourself completely understood by the people you work with. There will be emails; there will be telephone conversations, and they are costly! Knowing good English helps you to make your point faster. If you have a website that the whole world can see, you had better have content that is meaningful and accurate and does not embarrass you or harm your business. Even within Indian companies, especially large corporations, the number of employees is too huge for personal, one-on-one communication. Hence the intranet is the notice board and all communications are made through it. Imagine a secretary who didn’t know grammar and punctuation sent out a company wide email – “meeting cancelled because of indisposed”. Because of whom? Because of indisposed? Is indisposed the name of a person? Another Indian might scoff and laugh at the very poor grammar, or might even get the gist of it, but what about the impression you make on, say, foreign collaborators who receive the same email? And even if we ignore the impression we make, what about the issues that arise from miscommunication? People just don’t know what you mean. Written communication is as important as verbal. Engineers typically are nonchalant about their lack of language skills, saying that they understand their core subjects and that’s enough. I would say that it is not enough to understand the concepts through insight or genius, you need to communicate that you know. Think interviews and group discussions for job-seekers! You cannot do this without proficiency in a language. And what about presentations? You might have the most brilliant idea in the world, but if you do not know how to get it across, you are lost. I have seen scores of presentations made by students who are too stumped or lazy to formulate simple, brief and attractive sentences in English, which are the backbone of any good presentations. What they do is to simply type into Google, move into relevant or sometimes irrelevant sites, copy a large section of content and simply paste it into their power point slides, without a thought as to how readable or attractive it might be. A little education here (either training through company intranets, or an on-line course, or some self motivated self-education) can go a long way. The employee will not only use better grammar and vocabulary, but will also use logical chunking and sizing of the content, so he only puts as much on a slide as is easy to read and understand. One point per slide, with an example if it is there – this is a good rule. Anything more is actually taking away from your content. 1. Formal and business greetings when meeting someone for the first time. Hello. Nice to meet you/ Pleased to meet you. Bright Tip: Do not say “Nice to meet you” on the telephone! 2. Formal and business greetings when meeting someone you have met before. Hello. How are you?. OR Good morning. Good afternoon. Good evening. Depending on the time of the day. Bright Tip: Keep in mind that “good night” is only used to say “good bye”when you meet someone late in the day 3. Casual greetings: When you meet friends and family Hi. To greet friends and family in any casual situation What’s up? A casual way of asking “How are you?” So greet right and shine bright. International English “International English”: An alternative to US or UK English 06 Sep 2016 ·by Liz Naithani ·(comments: 0) English dictionaries on book shelf and boxes with US and GB flag Foto pixabay/unsplash, CC0 Public Domain Are you based in Germany but have an English website or publish advertising materials, brochures, product catalogues or annual reports in English? Then you’ve probably had to think about whether to use American or British English. The problem is that in today’s global economy texts are rarely read exclusively by either the British or by Americans. And when it comes to your web content, e.g. websites, blog articles or social media posts, people all around the globe have access. Keep in mind that you are using English as a lingua franca, so not only native English speakers are reading your texts, but people of all nationalities for whom English is a second language. The different ways of spelling words in American and British English (color vs. colour, fulfill vs. fulfil, aluminum vs. aluminium) presents only a minor challenge for an international readership. Differing word choice (highway vs. motorway, lawyer vs. barrister) is already more of a hindrance. What is really tricky is the use of country or region-specific expressions or idioms (e.g. derived from baseball or golf: You’re in the big leagues now! ; His performance was not up to par) which only certain groups of native English speakers understand. The answer to this dilemma is “International English” – also called “Global English, ” “World English, ” “Common English” or “Globish” When using international English, make sure to use language that is understood both by native English speakers around the world, as well as by people who speak English as a foreign language. write clear, short sentences. chose idioms carefully. use humor in a culturally sensitive way and culturally “neutral” language is given preference. avoid using phrasal verbs (e.g. to put someone off; to go on about) and colloquial expressions (e.g. to blow someone off; great to have you on board!) wherever possible. write dates in a way that everyone will understand, e.g. by spelling out the month: 4 March 2016 instead of 04/03/2016 (UK) or 03/04/2016 (US). include the international prefix with phone numbers and the country name with addresses be precise when using currencies. Avoid writing “$1000, ” but instead write “USD 1000, ” “UD 1000” or “CAD 1000.” The next time you need an English translation or proofreading job done, consider whether international English isn’t exactly what you’re looking for. Your professional language service provider will be happy to help you with this. And while you’re at it, why not spend some time thinking about whether the images and photos in your English publication are suitable for readers around the world? Importance of English Language in India Introduction: English is one of the most important Global language. Most of the international transactions of recent times were concluded in English. The language has contributed significantly in narrowing the gap between the geographical boundaries. The benefits of learning English can be seen in the economic, social and political life of the people of the country. India has undertaken the gigantic task of rapidly developing it’s economy, and becoming a powerful country. To fulfill this, people must have up-to-date knowledge of the different branches of science. Without expert technicians, mechanics and engineers much progress is not possible. We need them in increasing numbers. Besides this, a growing nation has also to guard her against various internal dangers. Under such conditions, the selection of language to be studied by the youth of the country becomes very significant. English is the store-house of scientific knowledge. Hence, its study is of great importance for a developing country like India. Importance of English Language in India’s international affairs: India’s foreign policy is the focus of attention of all the countries of the world. The whole of the world expects to quench its thirst for peace with this policy. India wants to be friendly with all countries. She has to explain and convince others that her point of views is correct. This cannot be done without an effective medium for the exchange of ideas. English provides us with such a medium. This is the language which enjoys the status of an International language. In the U.N.O., the discussions are carried on in this language. In fact, the majority of the countries of the world conduct their business in this tongue. If India wants to play her role in international matters effectively, her people must study English. Importance of English in internal matter: India is a country in which people living in different parts have their own languages. The regional languages are quite different from one another. The leaders and the administrators of the country cannot remain in contact with all these regions without a common language. It is not possible for everyone to know ten or fourteen languages. We do not have any common language at present, except English. During the English rule, all tried to learn this language. We can feel at home in any corner of the country, if we know this language. English is the language best suited for maintaining internal unity. If we want to crush the provincial, communal and separatist tendencies of our people, we must continue to study it. English is the most important means of national integration with terrorism raising its, ugly head in different parts of the country. We must study English or perish. Importance of English in Technological and Scientific advancement: Major technological and scientific advancements have been written in English language. This is the age of science. The world is changing at a terrific speed. This is all due to the scientific and technological progress which the other countries have made. If we want to keep pace with these fast moving countries, scientific and technological research must be made in our own land. We can advance only through knowledge of these subjects. Ultimately, we have to depend upon English. To produce first rate scientists and technicians, English must be taught to our people as good and useful books on these subjects are available in this language only. Importance of English for higher studies: For proper mental development it is essential that we study the best literature. If we want to shed the feeling of false superiority and to broaden our minds, we must be ever-ready to take the best from others. Now, the literatures of other counties and of our own different languages can be easily obtained in English. In our own languages, modern up-to-date literature is not available. This makes it essential that our young men continue to learn English. Moreover, many a young men go to foreign countries for advanced studies. They need good knowledge of English. Its importance for such scholars is indeed very great. Conclusion: English must be studied as an important foreign language. It must also continue to be the medium of instruction, at least in science and technology, and in other subjects also in higher classes. At the same time, our regional languages should not be ignored. speak English fluently Take these 10 tips on how to learn English faster as your starting point and you’ll master this wonderful language in no time! 1. Read everything you can get your hands on Classic literature, paperbacks, newspapers, websites, emails, your social media feed, cereal boxes: if it’s in English, read it. Why? Well, this content will be full of juicy new vocabulary, as well as a fair amount you already know. This helps you improve quickly, as re-exposure to learned vocabulary gives you new examples in context, therefore reinforcing those words in your mind. On the other hand, learning new words and expressions is essential to building your vocabulary arsenal, particularly in a language like English with so many words! However, don’t just read and move on – next, you’ve got to… 2. Actively take note of new vocabulary This tip is a classic one for good reason: it works! When learning, we often enjoy a new word of phrase so much that forgetting it seems impossible. But trust us, not everything sticks the first time. To fight this, get into the habit of carrying around a funky notebook or using a tool like Evernote. Whenever you hear or read a new word or expression, write it down in context: that is, in a sentence and with its meaning noted. This saves you time as you won’t return to that word and ask yourself: “What did that word/expression mean again?” 3. Talk with real live humans What is a language for if not to communicate? Sure, we humans have become experts at communicating without opening our mouths – thanks Whatsapp! – but when push comes to shove, it’s true that speaking a language helps it stick in your head far better than only reading or writing it. Just think of how many times you’ve heard people say that they “understand, but can’t speak English.” A lot of would-be English speakers have turned talking into a huge insurmountable barrier that only serves to psyche them out. Don’t be like that. Seek out native speakers for an informal language exchange, enroll in a course, or take classes online. 4. Subscribe to podcasts or Youtube channels (in English) Like humor? Politics? Blogging? Cooking? With topics covering every interest imaginable, there’s an English-speaking podcast or Youtube channel out there for you. Subscribe to a few and listen while driving or watch during the commute to school or work. At first, you might find the native accents difficult, but stick with it and you’ll soon start to understand what you hear (as well as learning lots of new vocab from a native speaker!) 5. Go abroad If there’s a better way to learn English than being immersed in it while living and studying in an English-speaking country, we’d love to know! It’s no secret that English is the most widely-spoken language in the world, and with a long list of countries to choose between, you can select your ideal learning environment based on hemisphere, weather, or favorite city. Think Australia, New Zealand, the UK, the US, Canada, and South Africa to name a few! 6. Use your friends Have friends who post online in English? Don’t gloss over them in your newsfeed: scan the items they share and commit to exploring one or two each day. They might be news or magazine articles, videos, talks, blog posts, songs, or anything else: if it’s in English and the topic interests you, it’s going to be helpful! 7. Ask a lot of questions Curiosity may have killed the cat, but it also propelled the language learner to fluency! As you learn English, you’ll soon collect a mountain of questions. Don’t sit on your doubts – be curious and resolve them! If you’re enrolled in a course, ask your teacher (it’s what they’re there for, after all). But if you’re learning alone, don’t worry: find answers in blogs or language websites, ask other learners, or read through forums. You’ll be happy you did! 8. Take a lead from the stars Mix up your learning by picking a native English-speaking actor or singer you like. Now, head online, find a bunch of interviews they’ve given – and watch them! Watch once for gist, then again, taking time to note down interesting expressions and words you hear. The slang, stories, humor, and anecdotes that come out of these interview are sure to give you plenty to work with! 9. Start with what you really need Your English studies are likely to go far more quickly if you constantly remind yourself of your motives for learning. Are you going on a study exchange? Then, focus on vocabulary related to your studies. Have an overseas conference? Brush up on conversation starters to use with the other participants. Going on a gap year? Looks like travel and tourism vocabulary will be your guide. If you simply launch into learning English hoping to magically learn anything and everything at once, you’re likely to end up confused and burned out. Which brings us to… 10. Don’t kick yourself while you’re down When you start to feel like you’re not making ground – which happens to all learners at some point – don’t say, “I don’t speak English, ” or “I’ll never get this.” In fact, ban those phrases from your vocabulary! They only blur your understanding of the progress you’re making and convince you that your dreams of speaking English well are impossible. Instead, say “I’m learning English and making improvements everyday, ” “It’s not always easy, but it’s worth it, ” “I’m so much better that I was six months ago, ” and other phrases to remind yourself of the big picture. Should I study English grammar? In order to obtain English fluency for ESL students, studying grammar can slow your progress down significantly. Basic grammar is a necessity, but focusing on grammar will prevent you from being able to speak English fluently in a reasonable time frame. Grammar is most effective to improve communication and writing skills, but this only pertains to those who have a solid foundation in English fluency. If you are studying for an exam or want to learn the details of grammar rules, you can study our grammar section at English Grammar Basics. One commonality among everyone in the whole world is that they learned to speak before they learned grammar. Speaking is the first step for any English learner. So if you are a novice at English, please focus on your speaking and listening skills prior to studying grammar. 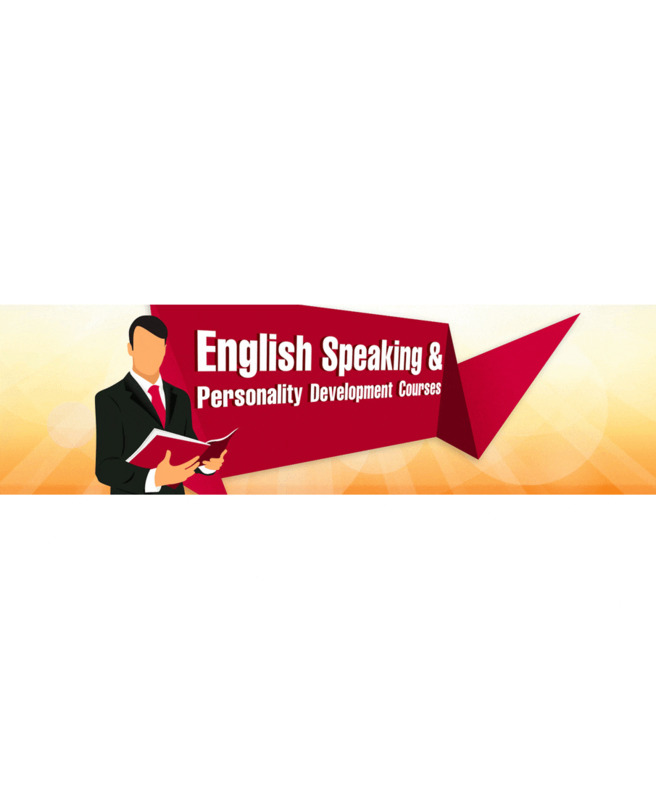 After being able to speak English fluently, you will realize how much easier grammar is. But it does not work the other way around. Being fluent in English speaking will help you with your grammar studies, but studying grammar will NOT help you with your speaking. In this article, the four most basic grammar topics are there, which consists of 1) subject, 2) predicate, 3) verb, and 4) article. This is the absolute minimum you should know. After you become comfortable with speaking, then you can study more advanced grammar topics. For now, please review and study the four items described below. Building vocabulary is a powerful way to enhance your life and career Learning how to build a better vocabulary can be a pleasurable and profitable investment of both your time and effort. At least fifteen minutes a day of concentrated study on a regular basis can bring about a rapid improvement in your vocabulary skills, which in turn can increase your ability to communicate by writing, conversing, or making speeches. Acquiring a large vocabulary can benefit you in school, at work, and socially. It will enable you to understand others' ideas better and to have the satisfaction of getting your thoughts and ideas across more effectively. Of course, you already know thousands of words, and you will continue to learn more whether you work at it or not. The fact is that many of the words you know were probably learned simply by coming across them often enough in your reading, in conversation, and even while watching television. But increasing the pace of your learning requires a consistent, dedicated approach. If you learned only one new word a day for the next three years, you would have over a thousand new words in your vocabulary. However, if you decided right now to learn ten new words a day, in one year you would have added over three thousand to what you already know, and probably have established a lifetime habit of learning and self-improvement.